Showcase your Tigers spirit with this Clemson Tigers 2016 Football National Champions Tubed Unframed Poster. 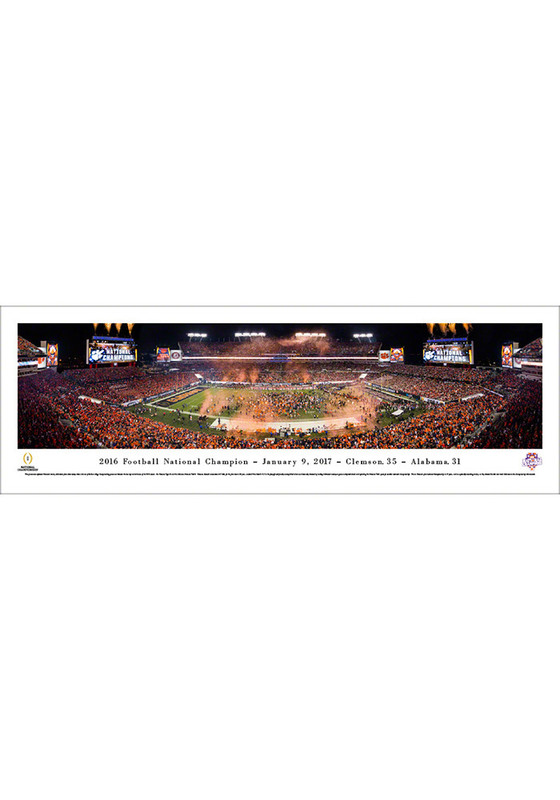 This Unframed Poster features a panoramic view of the 2016-2017 National Championship celebration as the Clemson Tigers beat the Alabama Crimson Tide 35-31. This is Clemson's first national championship in 35 years!. Go Tigers!